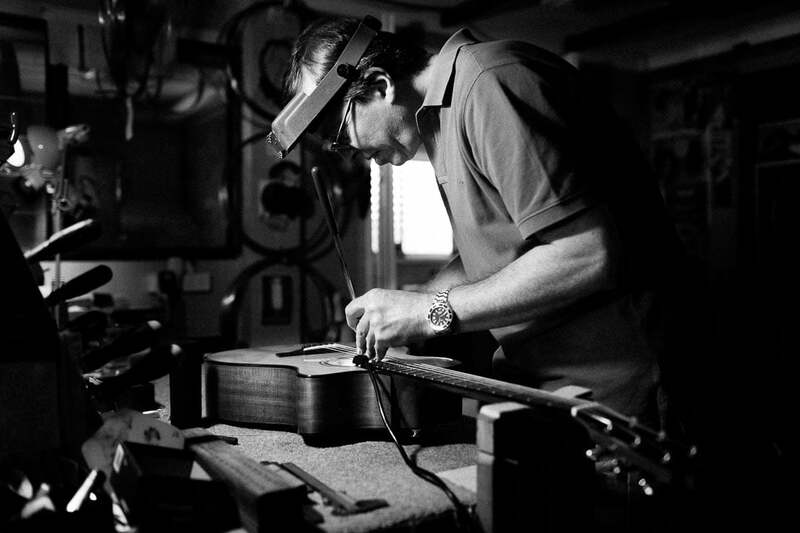 At Melville Guitars you will find a master luthier whose work stretches far beyond Brisbane. 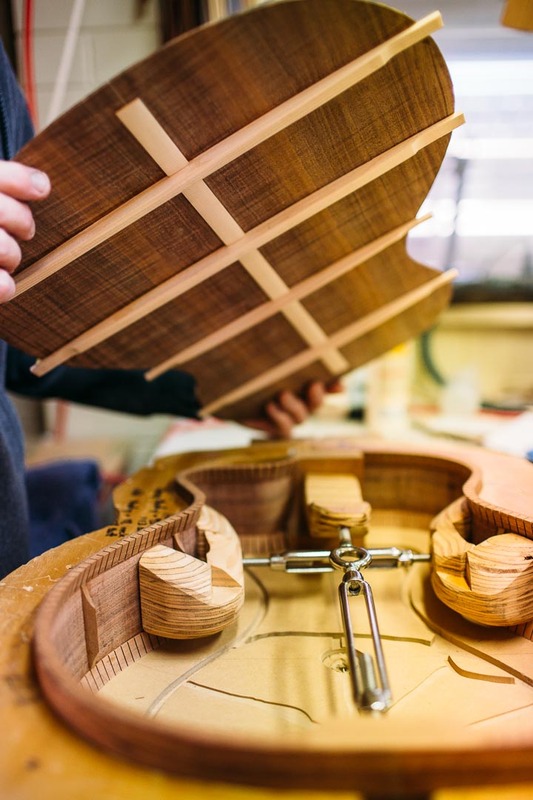 From a small craftsman’s studio in Kenmore, Chris Melville produces exquisitely handcrafted guitars, and offers the same standard of excellence to his repair and service customers. What’s your guitar capable of? 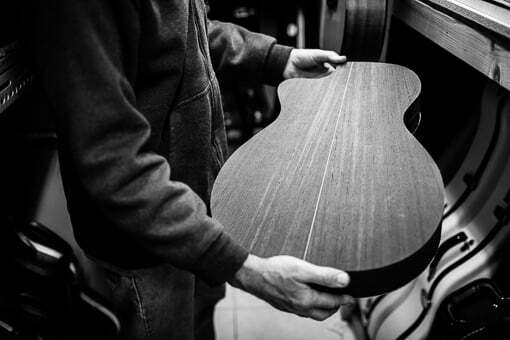 Melville Guitars has been established on a reputation for excellence. Whether he’s building his own guitars or working on guitars that come into the workshop, Chris Melville has only one mode of operation: the job has to be done properly. He doesn’t want to make it sound just a bit better than it did before. For Chris, that begins with a critical assessment of the instrument and a good understanding of what the player is wanting from it. Since the player is the other half of the instrument, getting that ‘fit’ right is one of the keys to excellence in repair work and custom building. Get in touch below and make a time to talk. There is no charge for an initial consult, but available time is determined by current works in progress. Melville Guitars has been established on a reputation for excellence. Whether he’s building his own guitars or working on guitars that come into the workshop, Chris has only one mode of operation. The job has to be done properly. He doesn’t want to make it sound just a bit better than it did before. For Chris that begins with a critical assessment of the instrument and a good understanding of what the player is wanting from it. The player is the other half of the instrument, so getting that ‘fit’ right is one of the keys to excellence in repair work, and custom building. Get in touch and make a time to talk. There is no charge for an initial consult, but available time is determined by current works in progress. 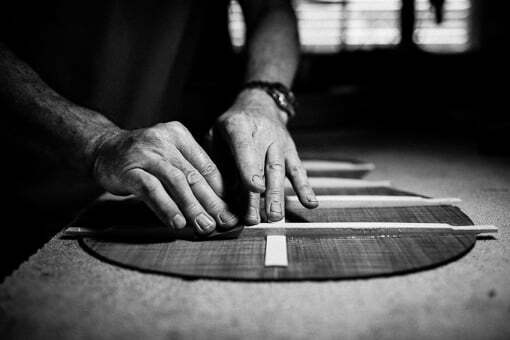 Melville Guitars is a fully equipped luthier’s workshop, and provides all manner of guitar repairs and services. Chris is known in the industry for his exacting standards and pursuit of excellence. He enjoys the challenge and problem solving of repair and restoration jobs but also the satisfaction of revealing the true sound capability of any guitar, banjo, mandolin etc. 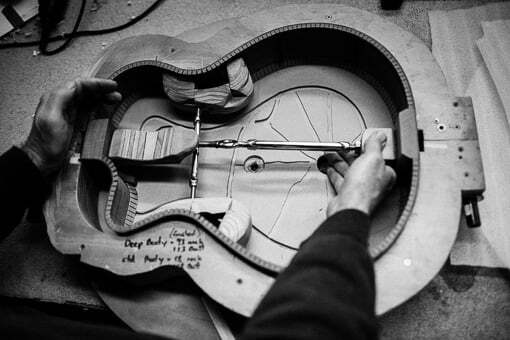 ‘Hearing’ the full potential in an instrument and knowing exactly how to extract it… is the skill of a master luthier. His broad application of knowledge, skill and experience has made Chris Melville the first choice of musicians, collectors and enthusiasts, Australia wide. 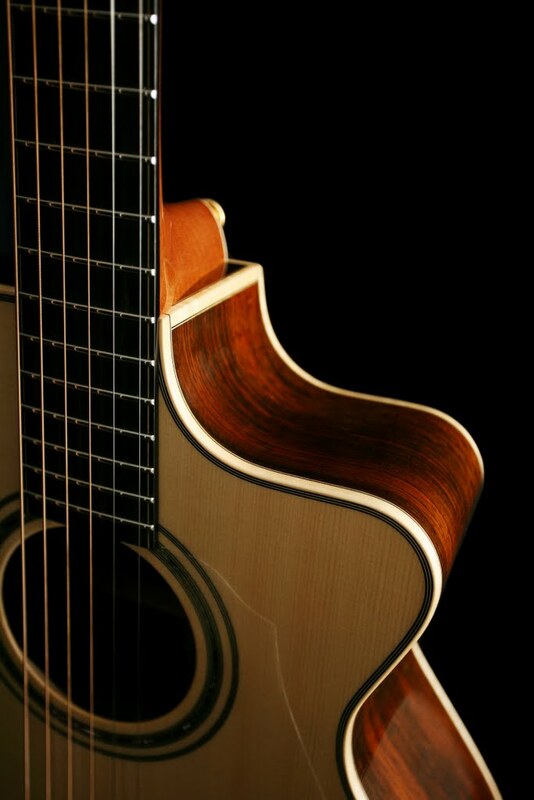 What is your guitar capable of? His broad application of knowledge, skill and experience has made Chris the first choice of musicians, collectors and enthusiasts, Australia wide. It is without doubt one of the very finest instruments I’ve ever seen. The neck feels great, fingerboard width is perfect. The design is restrained beauty itself……what can I say? Except it sounds incredible too. I’m not great at the flowery descriptions of how an instrument sounds but there is a sustain, depth and clarity to this guitar which is just out of this world… I’m so happy! “ Above all, you know an instrument is special when you play a single note and all you want to do is sit and listen to it ring out into the world, and as me and my sound engineer discovered, you’ll be waiting a while for it to finish ringing out. What a privilege it is to play such a special instrument. I will always be very grateful. 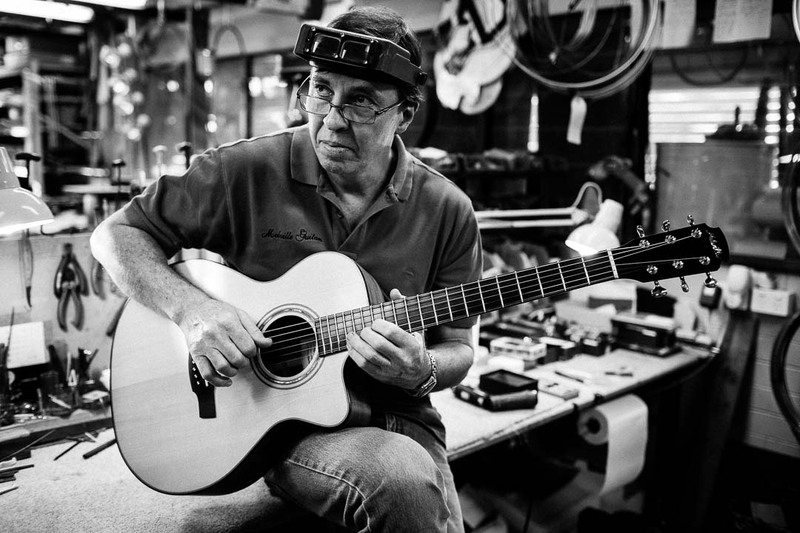 Chris Melville loves to demonstrate his guitars and to discuss what work your guitar would benefit from at the Melville Guitars Workshop in Kenmore, Brisbane. Visits are BY APPOINTMENT ONLY. Please call or leave your enquiry details and he will be in touch.